Springtime is here, and we’re more than excited than ever Six Flags Over Texas to open this season! Spring brings warmer weather, but it brings every student’s first break of the year – SPRING BREAK! Plus, we’re inviting YOU to save BIG bucks on one of our new vacation packages. In addition to affordable and convenient lodging, you can grab discounted tickets to area attractions. Lasting March 12th-20th this year, here’s our list of things to do during this annual spring celebration. 1. Six Flags Over Texas - Opening Day is March 5th! Every year Six Flags Over Texas opens right before Spring Break, and this year is the park’s 55th anniversary! Guests can purchase a discounted online ticket for only $19.99 (plus tax) on these days (March 10-20). Use this opportunity to visit your favorite rides – like taking flight on Batman: The Ride, launching backward on Mr. Freeze: Reverse Blast, fighting the bad guys in the 4D JUSTICE LEAGUE: Battle for Metropolis or the Guinness Book of World Record-holding The Texas SkyScreamer, the tallest swing ride on the planet. All this spring break action will pump you up for not one but THREE new rides – The RIDDLER Revenge, CATWOMAN Whip and HARLEY QUINN Spinsanity, coming soon! For the little ones, Bugs Bunny Boomtown has a plethora of fun kid-sized rides the kiddies with love! 2. Globe Life Park in Arlington is prepping for the upcoming baseball season and we can’t wait!!! Take a tour from one of the incredibly friendly and knowledgeable Globe Life Park Tour Guides of the entire facility. Be sure to take a Segway tour of ballpark – the first of its kind in the country! 3. If pigskin and turf is more your style, tour the state-of-the-art AT&T Stadium, a truly astonishing stadium that has housed some of the biggest events in the entire world! 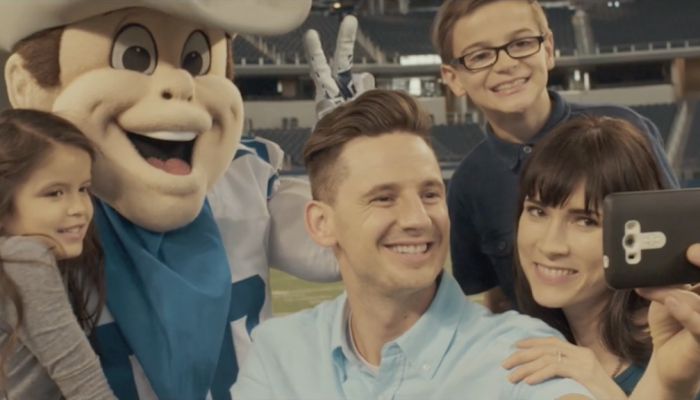 Not only can you cruise through the locker rooms of the Dallas Cowboys’ biggest names, but unlike any other stadium in the country, you can bring a football and play toss right on the field where the big leagues play. For additional spring break activities, visit our Things to Do page or Save Money pages to find fun deals for attractions, restaurants and more.